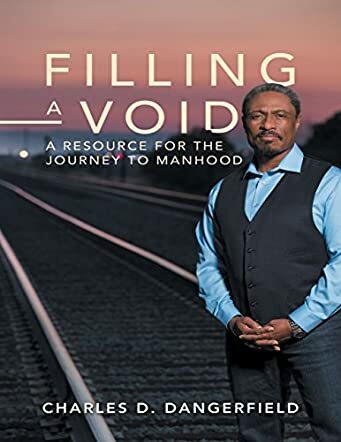 Filling a Void: A Resource for the Journey to Manhood by Charles D. Dangerfield is an excellent handbook for young black boys and men to think before they act. The book is also a good resource for single mothers and many others who want to help these boys of color. Communities are in dire need of positive men of color to step up and guide these boys in the right direction to manhood. The tips and suggestions in the book will teach them about the characteristics they need to consider while forming their identities, the way certain emotions can affect their decisions, the do's and don’ts while encountering law enforcement, and the importance of thinking before they act. This book will prove to be useful when it comes to opening up a dialogue and getting people to talk about matters they have not thought of before, or matters they take for granted. The topic of Filling a Void is unique and I like the way the author has peppered it with scriptures from the Book of Proverbs. These give the feeling of a father sharing his wisdom and life lessons with his son. The author’s experiences, observations, and perspectives as a black youngster and later as a black man are tangible and will be helpful to many readers. This book can be used as a resource while continuing on the journey of life. The equation of Poor Choices (PC) + Bad Decisions (BC) = Negative Consequences (NC) is good to remember as it will help readers look at the possible consequences and be careful when it comes to making life decisions. Awesome message! Very much needed. An excellent resource for young men, single mothers, fathers, caregivers, and churches. Our communities have a great need and " Filling a Void" is an excellent resource.